Lens filters are used in just about every kind of camera work. Be it filming movies, photography or even down to our GoPro cameras, filters are a necessity for achieving that gorgeous professional feel. In a quick second we’ll go over the main filters used for GoPro: ND Filters, Polarizing Filters and Underwater Red Filters. What are GoPro Lens Filters? Camera Lens Filters is a useful accessory for any photographer or videographer camera bag. Depending on the activity you are going to shoot and the lighting conditions, you may need a specific filter that will make exposure or film colors more authentic to reality. ND Filters: Like sunglasses, they filter harsh lighting, thereby inducing a longer shutter speed and therefore a softer image. Polarizing Filters: Reduce glare and improve saturation in a cloudy sky. Underwater Filters: Bring colors back to your footage that otherwise would look “too green”. How do GoPro Filters work? They easily clip onto the GoPro’s lens or can replace the default neutral lens. GoPro Lens filters are made of glass or plastic, depending by brand and model. In our GoPro world we use Neutral Density filters, also know as ND Filters, to achieve that brilliant motion blur, by lowering the cameras shutter speed and allowing less light to come into the sensor. They basically work like sunglasses for the camera. What ND Filters should you buy? As a regular user of ND filters on GoPro and DSLR cameras, I can suggest you PolarPro to be the top producer. Their glass build quality is above standard. Have you ever filmed something or taken a picture and you find really harsh glares or blown out white skies? 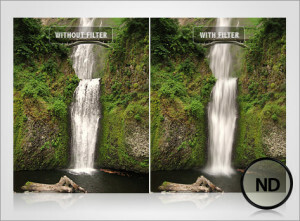 That is exactly what a polarizing filter (CPL) will eliminate. Since light reflected from a non-metallic surface becomes polarized, these filters manage reflections and suppress glare form the surface of lakes or the sea, giving more contrast to the image. Benefit? Polarizer will add more contrast to clouds and make the sky appear more blue on bright washed out days. Best known for its ability to reduce glare, you should use a CPL when filming reflective surfaces whether that be water, a car’s windshield, or ice. What CPL Filter should you buy? This kit includes a CPL filter, together with ND filters. It’s not top quality but it does very well for its price. However, if glass quality is what you are looking for, then opt for PolarPro or GoPro Original CPL Filters. Underwater filters are designed to bring back the colors that are often lost as we descend in the ocean, starting with red or magenta (the reason why underwater filters are of this color). Benefit? By bringing the red color tones back to your image, the camera will be able to select an accurate white balance and your image will reflect the natural underwater colors. Red filters are used in blue deep water (scuba diving), while magenta filters are optimized for green waters or snorkeling activities. What Underwater Filter should you buy? Again, after having tested different products, PolarPro remains the leading brand for GoPro underwater filters – their build quality is top notch. I would not suggest you saving a few bucks for underwater equipment as you are dealing with water and different pressures.